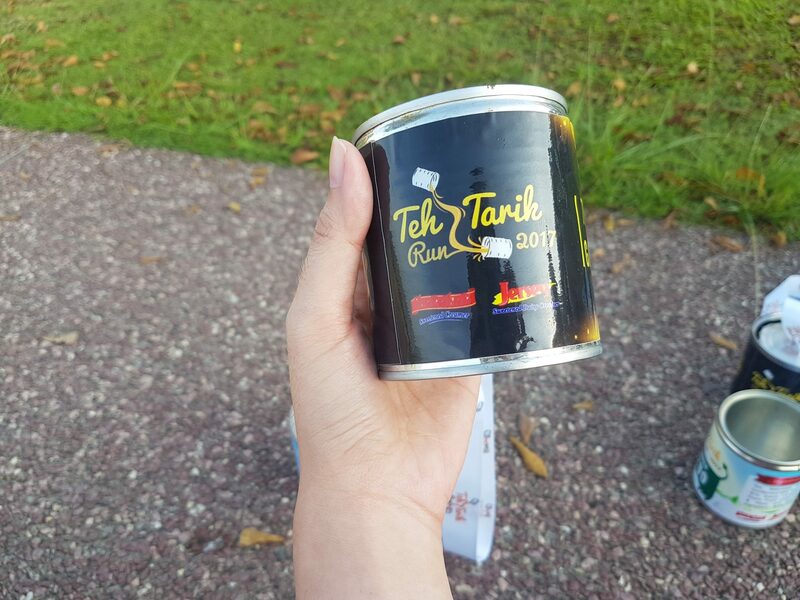 Race Review: Teh Tarik Run 2017 (by Jilian) | JustRunLah! 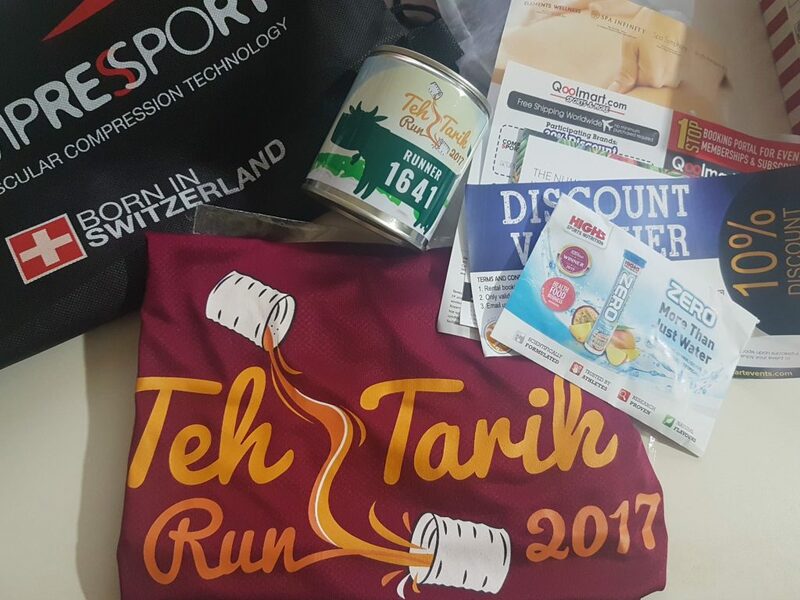 The Teh Tarik Run, I believe is the first of its kind in the world and I was part of it today. The run took place at East Coast Park (near the seafood center). My boyfriend and I arrived at the race venue at 6.45 am as instructed in the race guide and we took a few photos while waiting for the flag-off. 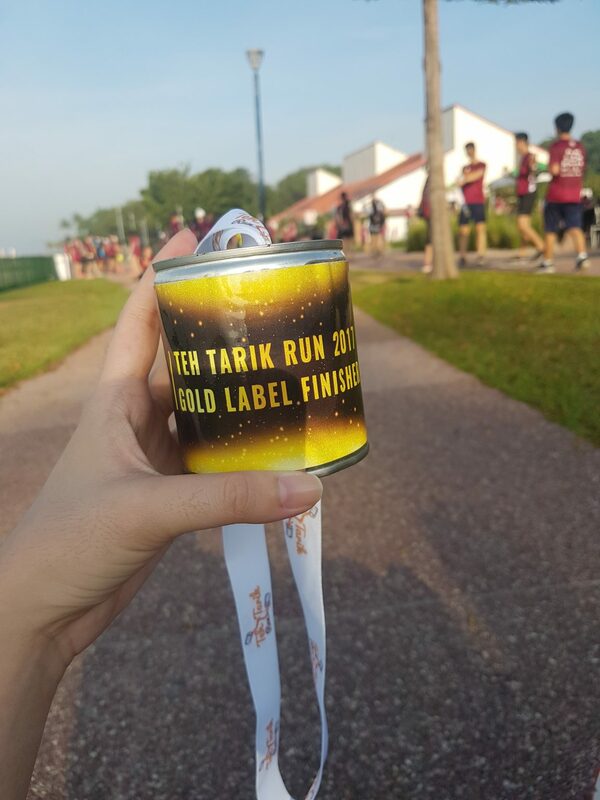 We filled up our tik-gongs with teh tarik and drank after we shouted ‘yum seng’ (cheers) together with the rest of the runners at the event and we also sang the national anthem. We were flagged-off at 7.30 am sharp. The distance felt rather short actually because we had to U-turn back to where we filled up our tik-gongs and then start another lap again. So it was basically round and round. It was a relaxing run on a Sunday morning. There was minimal uphills and downhills. There were a few occasions when we had to stop for passing cyclists but that was okay since we were sharing the park with them anyways~ Everyone was cooperative and friendly towards each other. My run was however disrupted on a few occasions due to participants who walked on the path. As this is a fun run, there will be some who would walk throughout the whole course and it’s okay. But what they shouldn’t do was to walk side-by-side of each other and block up the entire path. The path was rather wide and they still managed to block it. People had to try to squeeze in between them to get through. But they still didn’t move to the side and continued, which I felt was very inconsiderate. 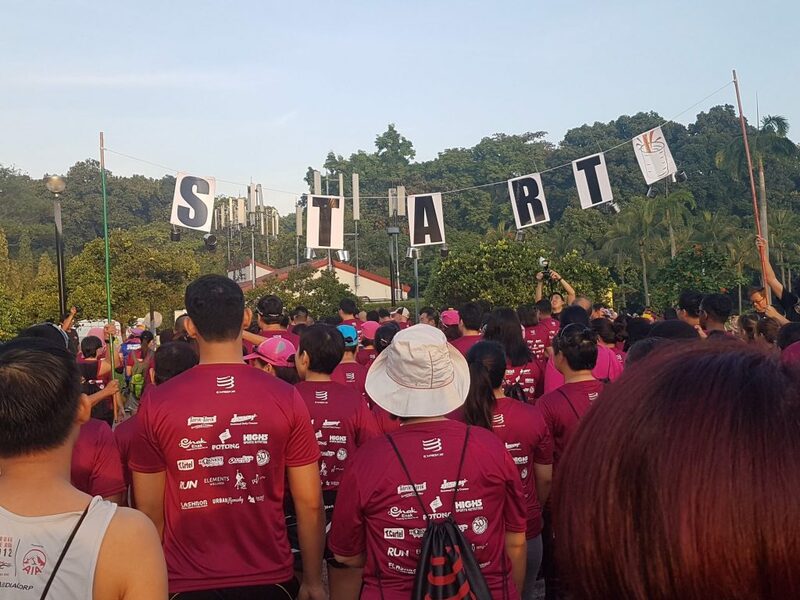 It’s time that the organizers of runs remind people of the running etiquette that walkers should keep left. We have to make people aware of such running etiquette so as to make these runs more pleasant for everyone as this is not an isolated case. Hence I fell that the organizers of races can help by reminding everyone by either mentioning it in their race guides or on the day itself before flag-off. It will definitely help a lot. Anyways, my boyfriend and I ended the run with a sprint towards the finishing line. We just did it for fun actually since the path was rather empty. We then went to collect our finisher tik gongs. We waited for awhile to cool ourselves down before heading to the photo booth for some fun shots and then off we went for the buffet! We were so excited about the buffet. He was excited for prata and I was excited about potong! The queue for the food was rather fast although with limited choices like dried noodles, bee hoon and porridge. There were more teh for us but I had enough of teh so I bought bottled water at $1.50. Imagine our disappointment when we saw the food choices because there was no prata and potong in sight 🙁 The organizer did explain to us that they did not have enough pratas to go around and there was something wrong with the potong delivery (?) I couldn’t hear clearly because it was too noisy. But in short, we are not having pratas and potongs. The crews were really apologetic about it and so yeah… we didn’t blame them. PS. Just in case you all are curious how the race pack looked like, here’s a photo!